The first issue of the SaaS 2.0 Tattler was well received! There was a lot of social sharing and it was our highest viewed page to-date on the Amity website. 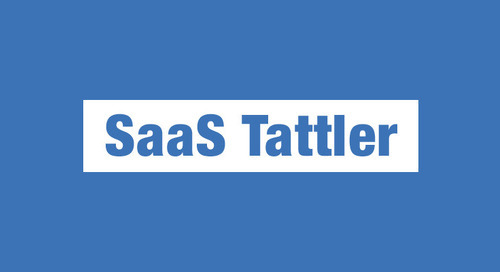 There is so much great stuff happening in the world of SaaS, it’s difficult to capture it all but we’re going to give it another college try this week with the 2nd issue of the SaaS 2.0 Tattler and by the 3rd, we hope to have a masthead! “The most powerfully growing products,” Stan Chudnovsky says, “do three things at once: they make you look smart to the people you invite. They give real value to you when the people you invite join. And they give real value to the people you’ve invited once they sign up.” Chudnovsky is only one of three experts who weighs in on Real Engines of Growth have nothing to do with Growth Hacking. We received a special update from the folks at UserOnboard announcing a discount on their offering. You can start by downloading the introduction to “the versatile and richly-illustrated PDF” of The Elements of User Onboarding. The sale ends tonight at 8pm Pacific so get on it quickly! I know I’m looking forward to reading it – thanks for the offer Samuel. In early December, new Cloudspace Partner Eric Marcoullier realized the need for a service to interactively slice, filter and research Crunchbase data. And viola the Crunchinator came to fruition just 3 short months later. They’ve even provided a video for it. Battery Ventures have done 10 series ‘A’ investments. Kholsa Ventures have done 9 series ‘A’ investments. New Enterprise Associates have done 8 series ‘A’ investments. SV Angels have done 8 series ‘A’ investments. First Round Capital have done 7 series ‘A’ investment. And in case you missed it, the latest post from our own Amity blog. Curated by the team at Amity using the outstanding tools provided by Mattermark, Product Hunt and Crunchbase. We encourage sharing!